It’s a bird…it’s a bus…it’s a restaurant. The Moving cart – Mumbai’s very first and India’s second restaurant on wheels launched in March in Mumbai. 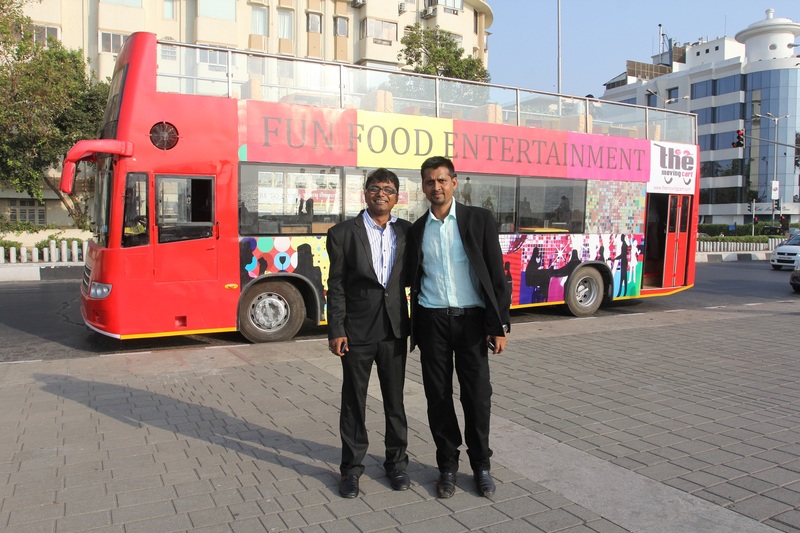 The red and yellow bus with an open to the sky deck is the brain child of Hardik Shah, a Chennai based entrepreneur. Shah is not new to business having cut his teeth with his garment export business. But it was food that moved Shah who wanted to do something different. “I own a lounge in Chennai and I know the difficulties of the food service business. Even if the restaurant is a hit, it takes anywhere between 2-3 years to break even. I wanted something quicker, more unique and interesting,” explains Shah. A restaurant housed in a double decker bus with food and entertainment sounded perfect. After all apart from the food business, Shah also owns and operates private buses on the Mumbai Pune route. 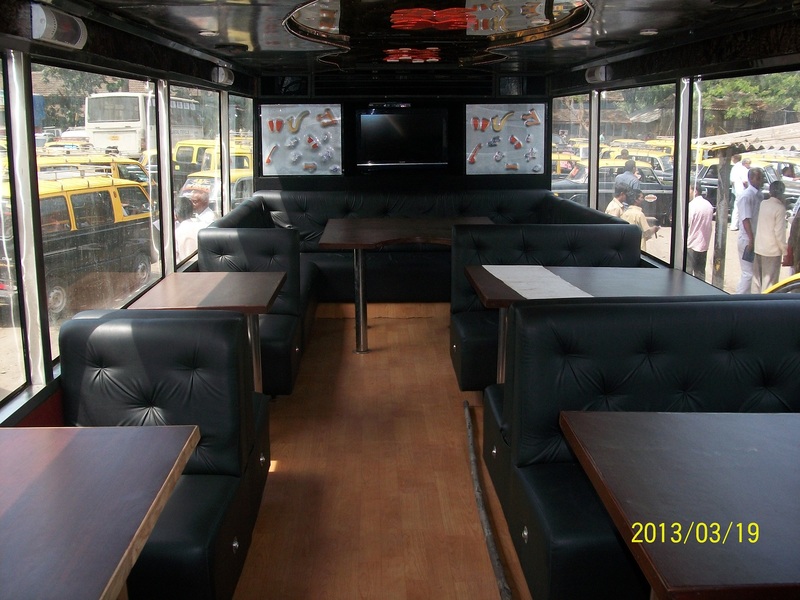 The Moving Cart launched its first bus restaurant in Chennai in 2011. The Chennaiites were overawed with the concept of a restaurant on wheels and flocked to it like a bee to a flower. The concept took wheels from day one and money started flowing in. “We received fantastic footfalls from day one. People flocked to experience the concept and word of mouth helped bring in more curious customer,” remembers Shah. Encouraged and goaded from the experience Shah roped in John Dias as co founder and launched the second bus in Mumbai in March this year. Moving cart is a restaurant on wheels. The customised double decker bus (a combination of Mercedes, Tata and Volvo) moves at a comfortable speed of 30 kmph so that guests can relish their meal and enjoy the sights on the move. The Moving Cart undertakes three voyages a day of one and a half hours each. The first trip commences in the afternoon at 1 pm, followed by the 8 pm slot and the final one at 10 pm. 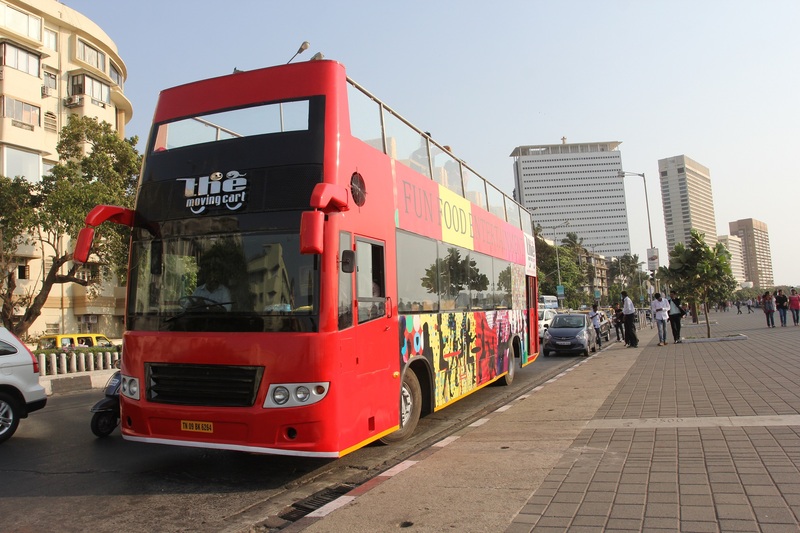 The bus takes off from Hotel Marine Plaza which is the pick-up point, moving and taking a U turn from Nariman Point, then heading towards Chowpatty and back to Hotel Marine Plaza. 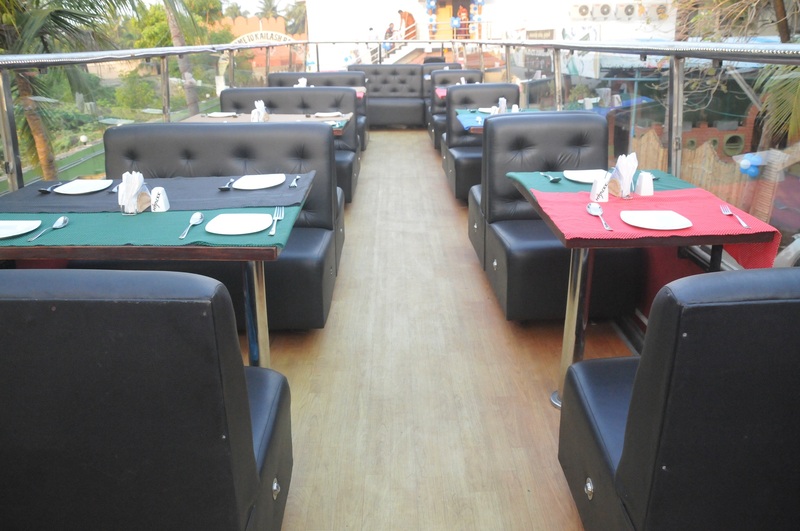 The multi cuisine mobile restaurant has an open upper deck and an air conditioned lower deck with mood lighting and soft music. A large projector screens cricket matches and movies. The upper deck hosts live music. Apart from the three regular services The Moving Cart also hosts corporate functions, birthday and anniversary celebration, kitty party and ring ceremonies. The food for The Moving cart is catered by Hotel Marine Plaza. While the guests take in the pleasant drive and the magnificent sights of the Marine Drive and Queen’s Necklace, they are served a five course meal (Rs 1200 pp for vegetarian and Rs 1400 for non-vegetarian). Booking is through the company website. The Moving Cart had its share of challenges beginning with RTO permissions. “The RTO couldn’t slot us as a regular bus since we were a double decker bus with an open top. The bus also served food that required some heating. All these factors put the RTO in a tizzy and they required creating a separate category for us,” explains Shah who did the rounds of the RTO for almost 4 months for the required licenses. However that was not the end since food on a moving bus required different dynamics. “By the time the food is served to guests it’s already heated four times since it cooked at the hotel and then ferried to the bus. We had to customise a menu with dishes that withstands this kind of re-heating. The taste shouldn’t be compromised on repeated heating,” clarifies Shah. The tables had to be fitted with anti skid mats to prevent spill-over and the staff had to undergo special training to manage and serve food on the go. Food matters – Shah leant early on in the business that food plays a pivotal role in the success of the business model. “No matter how good the ride is, if the food falls short of expectation, the customer will never recommend it to others. So we had to pay special attention to food, maintain quality and taste.” So while the menu holds continental dishes for the adventurous Mumbai palates, sambar, rasam and rice is a must on the Chennai bus. The Moving Cart owns and runs both buses. The investment in a single bus is Rs 1.1 cr., and operates with staff strength of 12-15. Each bus sees a footfall of 60 on weekdays which swells to 100 on weekends. Each bus takes 6 months to a year to break even. The company is looking for franchisees with a food background. Looking for private equity for further expansion is also on the cards. 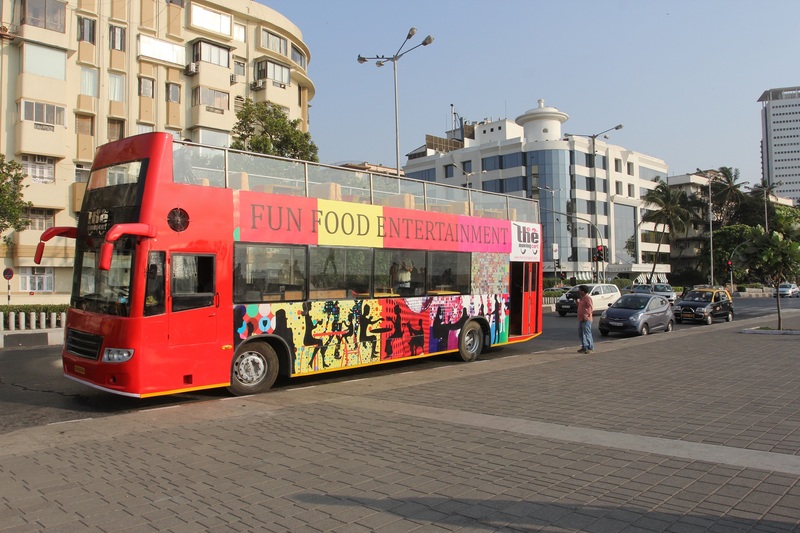 The Moving Cart will unleash two more buses in Mumbai, one each for Worli Seaface and Versowa next month. A Moving Cart in Dubai towards the end of the year followed by another one in Sri Lanka is going to keep Shah very busy. Whom do i need to contact if i need to speak about franchisee ? Hi Siddhesh thanks for your comment. You could get in touch with the founder himself. I have sent his coordinates to your gmail address. Keep dropping by for retail stories and more. This is Pooja and I am looking for Franchising opportunity in Karnataka. Kindly provide the contact detail of person concerned.